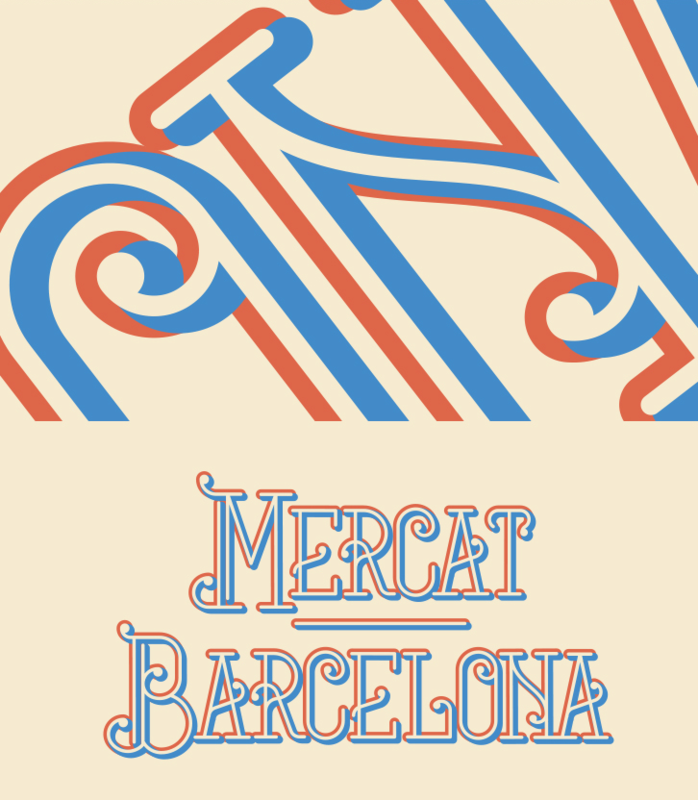 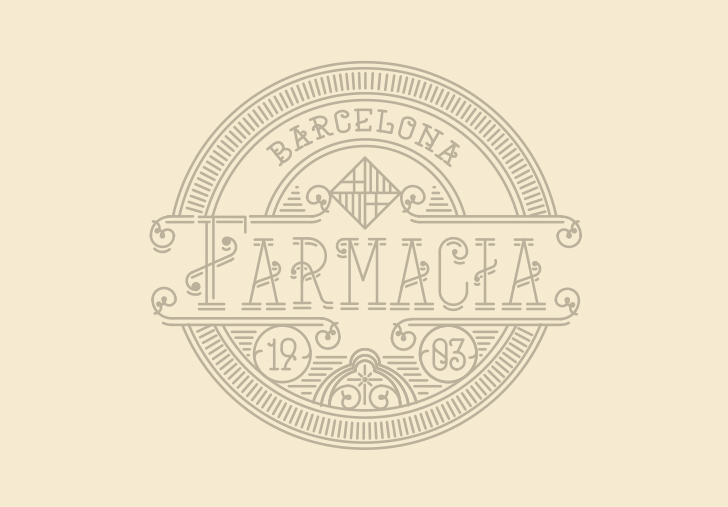 Mercat Barcelona is a free display font designed by Outline Studio from Spain. 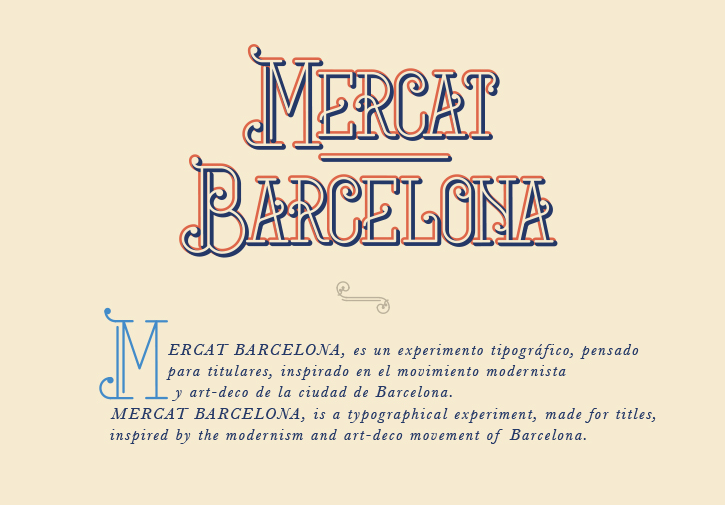 The font was inspired by the modernism and art-deco movement of Barcelona. 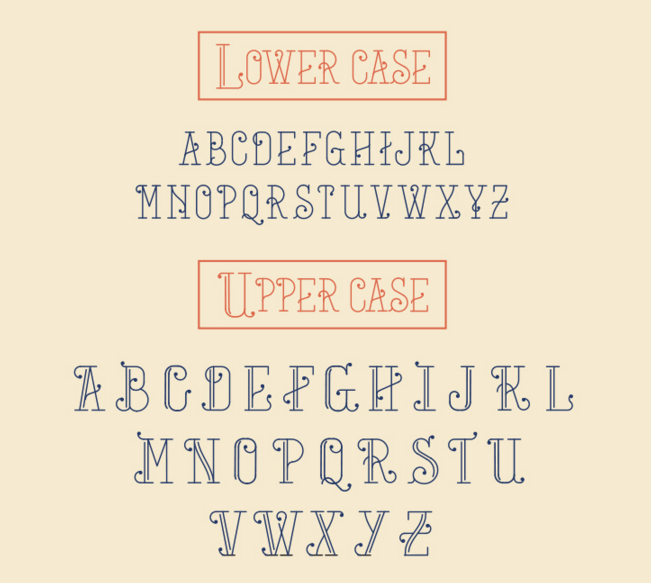 The ornamental font is recommended for titles, posters, vintage cards etc.